Through celebration and stories, lectures and discussions, participants in Green Israel Summit 1: Sustainable Zion explored topics including early Zionist thought, a Jewish back-to-the-land movement, population growth, suburban sprawl, Negev preservation, and environmentalism during a time of war. The first Green Zionist Alliance conference, GIS::1 was co-sponsored by Marom Olami and hosted at the Isabella Freedman Jewish Retreat Center in Falls Village, Conn., from Dec. 1 to Dec. 3, 2006. "The Unnatural Jew: Exploring our personal connection to Land,"
Choice A: "The Zionist Dream: An environmental nightmare?" Choice B: "Early Pioneers: From history to modern time with pioneer texts"
"Losing Ground: Overview of environmental issues in Israel,"
Choice A: "KKL-JNF: Tree planters, developers, environmentalists or what exactly?" Choice A: "If I Forget Thee O’ Jerusalem: A spiritual and political exploration,"
Choice B: "Environmentalism in a time of war,"
"Making the Deserts Bloom? 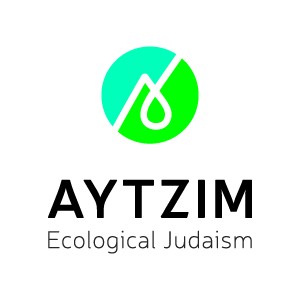 An introduction to two visions of Negev development and their environmental implications,"
"Eco-Zionist Dilemmas: How do we balance environmental sustainability with security and economic considerations?" Choice A: "Landscape of Israel’s Environmental Movement,"